Pack a tissue and get ready to feel those feels. Life is Strange, the beautiful adventure game that entranced so many gamers with its heart-tugging story of mystery, teen drama and time travel, is finally available on the Play Store in all its glory. There won't be a dry eye in the house. 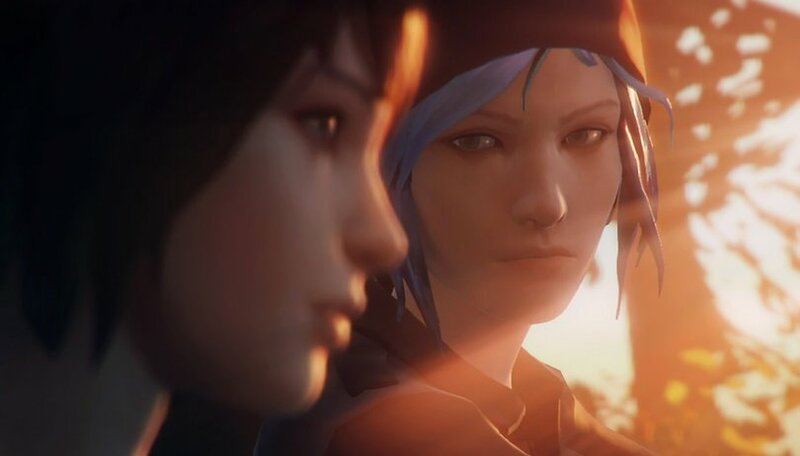 The old question of whether video games are an Important Art Form may not quite be settled for some, but there's no doubt that Life is Strange is something truly special: one of those rare video games that really touches the hearts of those who play it. This is thanks to a masterfully crafted story, engaging characters and emotional atmosphere that all come together to pull players in the same way that a touching indie movie or exceptionally moving song would do. Life Is Strange was a resounding success, one of the top 100 best-selling games on Steam in 2016 , with more than three million copies have been sold on all platforms as of May 2017. A sequel is in the works for later this year fall, and prequel game Life Is Strange: Before the Storm is already out on consoles and PC. It's a surprise then that publisher Square Enix debuted Life is Strange on the Google Play Store without any official announcements or publicity fanfare to mark the occasion. But it's a welcome surprise. The game was released on iOS earlier this year and I'm tired of the Apple envy. The game centers around Max, a high school student who just recently moved back to her hometown of Arcadia Bay, after an absence of five years. When she sees a girl get shot by a fellow student, Max discovers she can rewind time, allowing her to change what happened and save the girl, Max's former best friend Chloe. As Chloe and Max attempt repair rusted friendship, they get involved in a mystery of another student who disappeared in mysterious circumstances. In the course of investigating this, Max has to deal with a host of other characters, all of which whom have their own agendas, relationships and secrets. As Max gets to grips with her new power, she is also haunted by visions of the whole town being destroyed by an impending storm, possibly as a result of her changing the past. I won't spoil any more story details for you, and only say that it really is something special, with the "rewind time" mechanic allowing players to approach it from different angles and see the consequences of different actions (at least in the short term...the far-reaching consequences will still surprise you). The game is free to download, but this just gets your the first episode of the game, great to try if you're on the fence. Be warned that this beautiful game needs a decent spec device (at least 2 GB RAM, Android 6 or higher) so it's also worth testing the free offer for performance. You can purchase the complete game for $8.99 or download the episodes individually for $4.99 each. Have you played Life is Strange? What do you think of the mobile game?